PLEASE NOTE: This is a human product. Lactulose Solution is a specially developed laxative designed for constipation. A synthetic Disaccharide formulation, Lactulose Solution is a sugar-based molecule which cannot be metabolised nor absorbed by the body. Instead, bacteria found in the gut breaks down Lactulose Solution into acids which then induce the hydration of the stool. 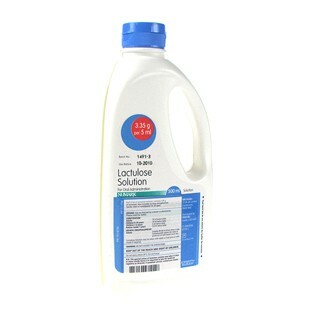 Lactulose Solution also can promote Peristalsis, the natural movement of food through the intestine. NOTE: The packaging of this product does regularly change. Here are the doses for animals, but please note that this is a human product. Dose for a cat, 0.5 to 5mls 2 or 3 times daily as required. 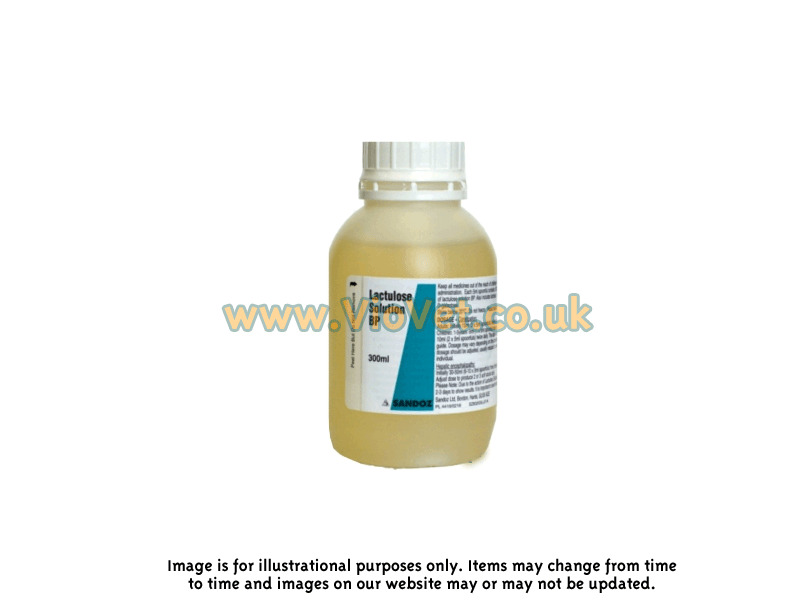 Dose for a dog, 5 to 25mls 2 or 3 times daily as required. Treatment is normally aimed towards the production of 2 or 3 soft stools per day. Adjust the above doses as required according to effect. Below are some recent questions we've received regarding Lactulose 3.3gr/5ml Constipation Solution, including answers from our team. What is the recommended dose for a 3kg cat? Dose for a cat - 0.5 to 5mls - 2 or 3 times daily, as required. What dose for a 4 kilo dog please? I would start with 5mls 2 or 3 times a day. You can then adjust the dose to effect aiming for 2 or 3 soft stools per day giving as little of the lactulose as possible to achieve this. What dose for a 45 kg german shepherd? Initially 20 to 25mls by mouth 2 or 3 times per day. Then adjust the dose as needed to produce 2 (or 3) soft stools per day. Always give the lowest dose you can which is effective, but the side effects are basically diarrhoea, so this will not be a problem as you adjust the dose. My dog ate a small cooked pork bone yesterday, given by a friend, since then he has only passed very small stools, not at all his regular type. It is now 21 hours since he ate the bone, our vet is not answering his phone, & we are in Spain, when and what dosage of lactulose should I give him. We have Lactulose in our medicine cupboard. He is 2 1/2 years old, and very subdued. Many thanks Christine Price. 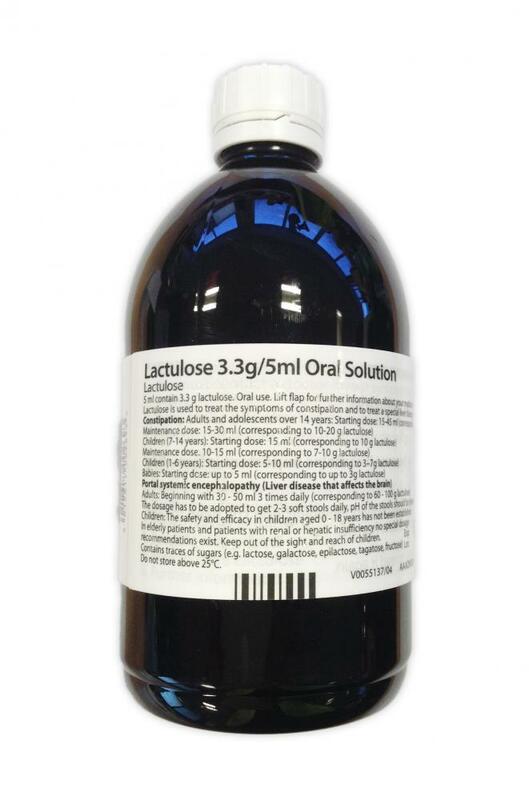 Lactulose can be given at a dose of 10mls at a time, up to 3 times daily if needed. If your dog starts vomiting repeatedly, then that is very serious and he needs to see a vet. As long as he is not vomiting, then it is unlikely to be serious. Most dogs pass this sort of thing after a while. It can be uncomfortouble and sometimes a little blood is passed with the stools, but only the vomiting is a real concern. You should encourage him to eat small amounts and drink plenty of water.